The DES-6506 is an RJ-21 to RJ-45 patch panel for the D-Link DES-6500 chassis. The DES-6506 is a 24-port RJ-21 to RJ-45 patch panel for the D-Link DES-6510 RJ-21/Telco 50 module. Both modules are designed for the D-Link 6500 Chassis. The DES-6510 module supports 2 RJ-21/Telco 50 connectors that provisions to (24) 10BASE-T/100BASE-TX. 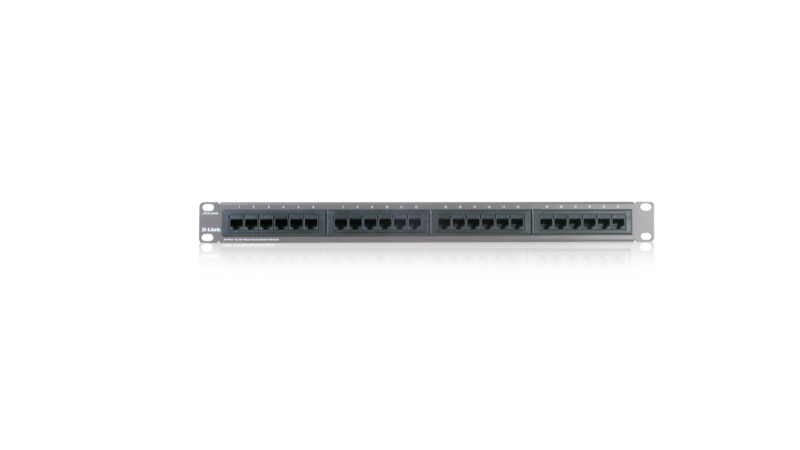 The DES-6510 is a 1U high patch panel that gives an easy and convenient way to provide instant RJ-45 connection. It supports two RJ-21 ports that maps to 24 RJ-45 ports. Simply connect the RJ-21 ports on the DES-6510 to the DES-6506 and the DES-6506’s panel simply becomes a medium for passing traffic between the blade and the connected stations. All management features supported on the DES-6510 are still supported.